Homebuyers are always on the hunt for the next up-and-coming neighbourhood - a place with good entertainment options, convenient amenities, parks and green spaces, and accessible public transportation. With the flurry of development in Toronto, staying ahead of the curve can be tough. Those watching the market should therefore pay close attention to Ghods Builders’ latest project - the 5959 Yonge Street Condos. These new mixed use residential and commercial towers are scheduled to catalyze a new wave of development at North York’s Yonge Street and Cummer Avenue neighbourhood. Located outside the influx of new condo developments in downtown Toronto, this site is a compromise between the hustle and bustle of the downtown core and a more relaxed suburban pace. To the south, neighbourhoods along the Yonge line, such as Davisville, are witnessing a spike in interest from homebuyers and condo developers. Ghods Builders’ latest luxury development will therefore kickstart the next phase of development along the Yonge line, launching an urban revival in North York’s Newtonbrook neighbourhood. The mantra “If I wouldn’t buy it myself, I can’t sell it” is the guiding philosophy behind Ghods Builders. This approach to development has guided the family-owned business since its inception in 1979. This vision has underscored founder Ghasem Ghods’ approach to the Yonge Street towers, which he describes as the new centre of Newtonbrook, bringing modern urban design, luxury housing, and retail space to the neighbourhood. “The whole site, its presence, connectivity and scale is a reflection of what Ghasem Ghods envisioned in order to transform this intersection,” confirms lead architect Clifford Korman of Kirkor Architects. Flanked by one-storey 1950s architecture, the design ensures that the development will fit comfortably into the neighbourhood. The elegant, clean and sophisticated design will feature unique architectural accents that create different looks for the building depending on the time of day. “We have very tall, thin, clean buildings, giving us height, tremendous vistas down Yonge Street to downtown, and the connectivity to Yonge Street the residents will want,” says Korman. The design will also ensure that north-south and east-west traffic going to and from the existing residential neighbourhood will be preserved and enhanced. Additionally, canopied pedestrian walkways will shelter residents while dining and shopping in the area. The location is just north of Koreatown North, and the area is home to both excellent Korean restaurants and some of the best karaoke bars in the city. Foodies will also enjoy the close proximity to numerous European, Filipino, Latino, Korean, and Middle Eastern grocery stores where specialty items and spices can be procured. For those looking to shop, Centrepoint Mall is only a five minute walk away, while the Yonge and Finch intersection offers a number of shops and restaurants. The development is also located near a number of green spaces and parks. Residents can head to Silverview Park for a hike or a game of baseball, or play a round of tennis at the Newtonbrook Tennis Club in Lillian Park. Commuting and getting around the city is easy as the towers are also conveniently located within minutes of the TTC and the Finch GO Station. Ghods Builders are no strangers to the Yonge and Finch neighbourhood. 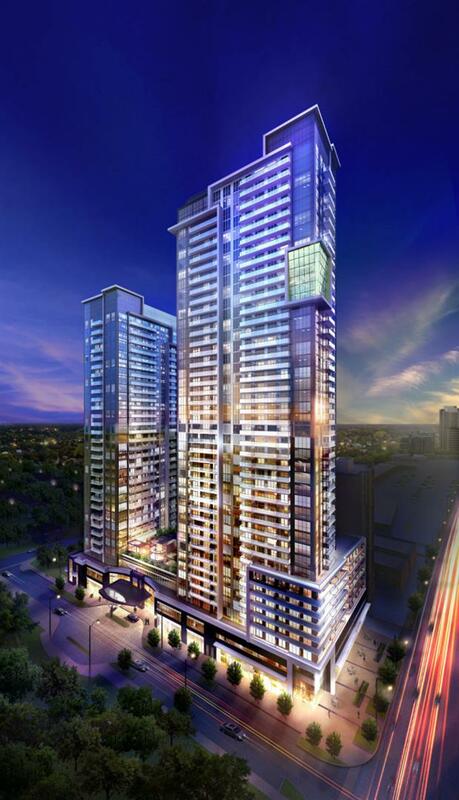 The developer recently completed Symphony Square, a 22-storey building that exudes luxury and style. Outfitted with marble floors, elegant chandeliers in the lobby, and a state-of-the art gym, this building has been compared to a five-star hotel. As Toronto’s downtown core fills up with condos, Ghods Builders have set their sights on North York, and plan to be the catalyst for a new wave of development at Yonge and Cummer. Buyers now have the opportunity to get a head start in a neighbourhood on the verge of a major urban renewal. 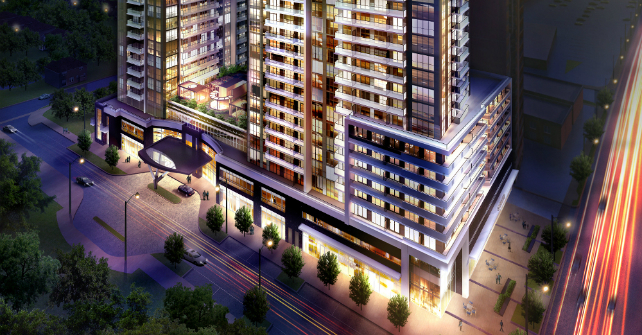 For more information on the 5959 Yonge Street Condos, visit www.5959yonge.com and register.